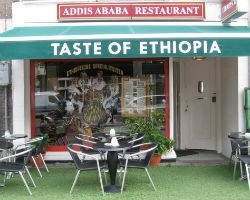 You can in Ethiopian restaurant Addis Ababa not only enjoy Ethiopian meals, but also Ethiopian beer and African beers. 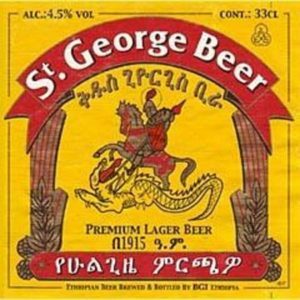 St. George beer is typically Ethiopian beer. And therefor it is brewed and bottled in Ethiopia. The brewery is located in Addis Ababa and is founded in 1922. It’s Ethiopia’s oldest brewery. St. George beer is premium lager beer and is unusually delicious. It contains 4.7% alcohol. In restaurant Addis Ababa four sparkling exotic beer flavors are available of the label Mongozo: coconut, mango, banana and palmnut. Mongozo means “cheers” in the language of the African Chokwe-people. Mongozo stands for fully enjoying and, above all, be surprised by the special flavors. 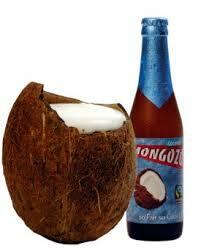 Mongozo Coconut is an exotic beer with the fresh taste of coconut. 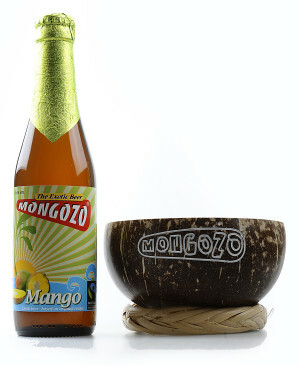 By its fresh taste Mongozo Coconut fits perfectly with exotic dishes. The beer carries the Fairtrade/Max Havelaar-label and contains 3.6% alcohol. Mongozo Mango has the sweet and fresh taste of fresh mangoes. It is a light beer with a refreshing fruity flavor. 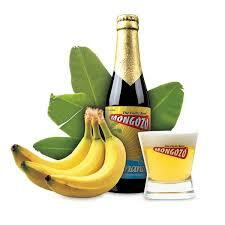 Mongozo Mango is a pleasant refreshing beer on warm summer nights and it’s perfect to combine with exotic dishes. The beer carries the Fairtrade/Max Havelaar-label and contains 3.6% alcohol. Mongozo Banana tastes like, the name says it already, banana. In the aftertaste you only taste the beer. Mongozo Banana has, of course, the yellow color of ripe bananas. Banana beer is really African: it is the traditional beer of the Massai in Kenya and Tanzania. There it is called “mbege”. The main ingredient of this beer is the OK banana. Mongozo Banana therefore carries the Fairtrade/Max Havelaar-label. The beer contains 3.6% alcohol. Mongozo Palmnut tastes oily, fruity and dry. A spiritual experience! The special aroma comes from the African palmnut. 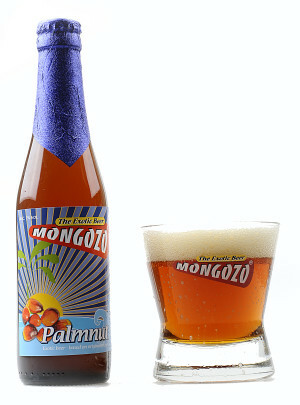 Mongozo Palmnut is an exotic African beer: the modern version of traditional beer from Angola. The color is deep red-brown, just as red as the African sand. 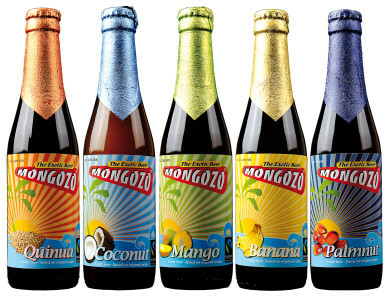 Mongozo Palmnut carries the Fairtrade/Max Havelaar-label and contains 7% alcohol. Drink our African beers from half a coconut. 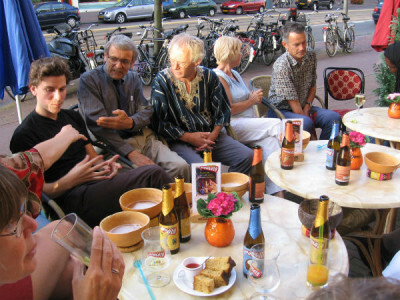 Then you will experience the ancient African drinking tradition. Do you prefer to drink from a glass? No problem. On request you’ll get a “normal” beer glass.